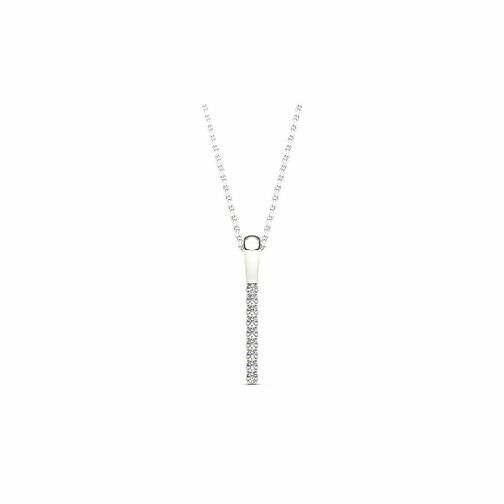 Designed to represent the line of love leading from your heart to theirs, this gleaming 9ct white gold pendant is hung from a delicate chain and finished with a row of precious set diamonds. Team with other pieces from the Line of Love collection for a beautifully coordinated finish. Certificated by GSI. Matching earrings 3718212. Line of Love, a sparkling trail of diamonds leading straight to the heart.